When I got my first air miles credit card, I didn’t do one shred of research. My thought process went like this: “Ooh, my colleague talks about air miles all the time. Whatever they are, they must be cool! I’ll sign up for this card.” Obviously, nothing ever came out of my card. 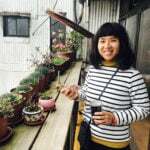 Don’t end up like me – read this guide instead. Here are the best credit cards for miles in Singapore, plus useful info on how they work so you can game the system. You’ll be a miles expert by the time you’re done reading this. What are air miles and how do they work? What should you look out for in a miles card? They’ re ranked in order of standard local and overseas miles earn rates (from highest to lowest). But it doesn’t mean you should ignore the cards at the bottom. Even the “worst” cards have some sort of redeeming feature, so be sure to take a look at all the options. These air miles cards are for regular miles collectors, meaning people like you and me who earn $30,000 to $50,000 a year. The majority of them (except the Amex KrisFlyer Ascend) have first-year fee waivers too. However, should you choose to renew your membership and pay the annual fee, some of them will give you bonus miles or other rewards, so it’s not like you’re paying for nothing. Another thing: Many of these air miles credit cards also have peripheral travel benefits, like airport lounge access and free travel insurance. But in order to compare the cards fairly, we’re only focusing on air miles benefits here. Wondering what on earth 20,000 KrisFlyer miles looks like when you redeem them? Find out where you can fly for free with your miles. Bank of China’s newly launched miles card may look like something out of a Chinese period drama, but it’s one of the best miles offerings we’ve seen in a long time. Even though the crazy introductory promo ($1 = 5 miles overseas!) has ended, the new regular earn rates still top the miles card charts, especially for overseas spending. Look out, though, for the relatively short expiry window for your miles. BOC also doesn’t offer any welcome bonus for one-time big expenses, so if you’re planning a wedding banquet, skip this one. Click here to read the full review of the BOC Elite Miles Card. Sign up if: You don’t have any huge expenses coming up, but you’re a frequent flyer. 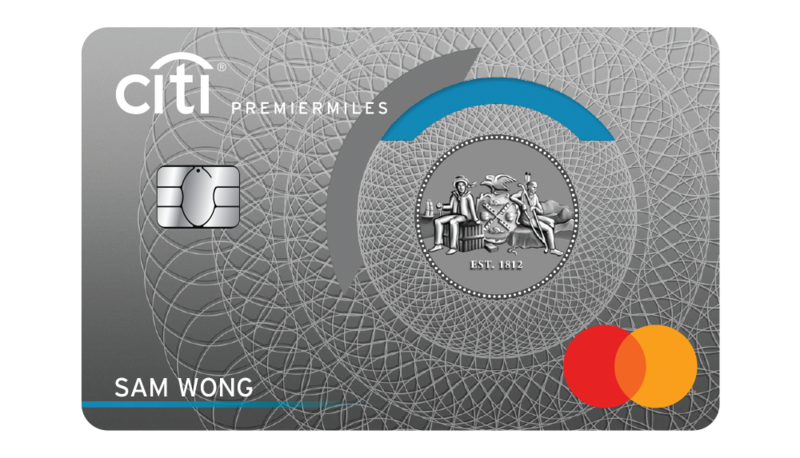 UOB has lowered the annual income requirement for its PRVI Miles card to $30K, which is awesome news for most of us within this income bracket. With its high earn rates for both local and overseas spending, it’s one of the best miles credit cards in Singapore, period. Its current promotional earn rates ($1 = 10 miles!) on travel booking sites are but icing on the cake, but note that the promotions end on 31 Mar 2019 for Agoda, Expedia and UOB Travel. 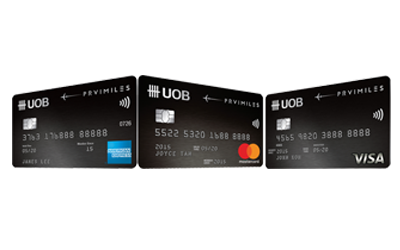 Click here to read the full review of the UOB PRVI Miles Card. Sign up if: You’re planning a big holiday in the first quarter of 2019. Although Citibank is pretty on-the-ball with their travel merchant tie-ups, the Citi PremierMiles Card still lags behind the BOC Elite and UOB PRVI Miles Cards, but it might work better for you if you have some big expenses coming up in the next few months (and you happen to be new to Citibank cards). You have 2 options: Either (a) spend $3,000 in the first 3 months and get 6,400 bonus miles, or (b) spend $7,500 AND pay the annual fee of $192.60 to get 21,000 bonus miles. That’s all on top of the miles you earn regularly. Sign up if: You intend to spend $7,500 in the next 3 months. The DBS Altitude’s earn rate is nothing to shout about, but the great thing about it is that its miles don’t expire. If the thought of spending thousands of dollars in just a couple of months makes y0u blanch, this is an accessible miles card for beginners to start playing the miles game. It’s quite versatile for travel bookings too, because you can still earn a decent rate on your online flight and hotel bookings, including aggregators, airlines, hotels, Airbnb, etc. That means you can still shop around for the best deal online, but just note the T&Cs – bonus miles are capped at $5,000/month. Click here to read the full review of the DBS Altitude Card. Sign up if: You’re a budget traveller who doesn’t mind collecting miles slowly. For people who don’t want the hassle of accumulating points and converting them to miles, the two Amex KrisFlyer credit cards are ideal because they’re just SO easy to use. The miles you earn are credited directly into your KrisFlyer account, ready to deploy anytime – no restrictions, lead time or pesky conversion fees. 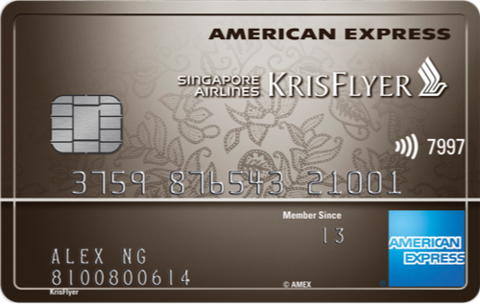 The Amex KrisFlyer Ascend is the higher tier card of the two ($50,000 p.a. income and up) and has slightly better earn rates. But the best way to earn miles is by spending a huge amount in the first 3 months to get the generous welcome miles. 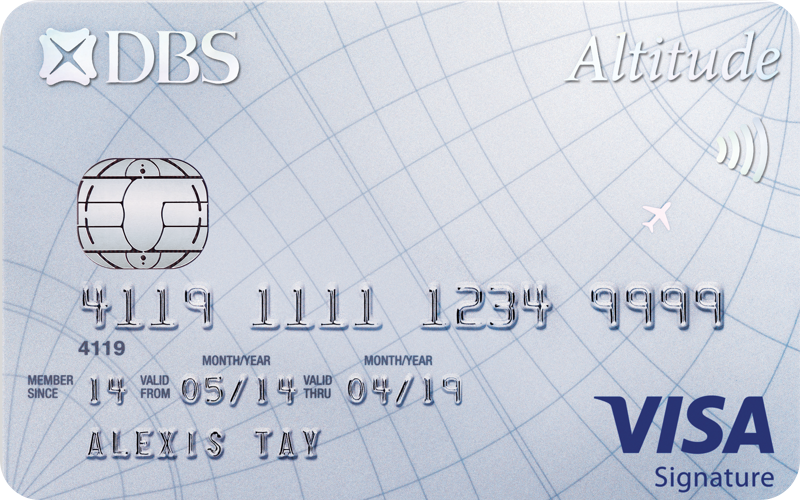 Unfortunately, this card has a major drawback – its annual fee of $337.05 is not automatically waived, and American Express is well known for not easily waiving its fees. That said, paying the annual fee gives you a couple of nice perks including 4 x airport lounge access and 1 night’s stay at a Hilton hotel in Asia Pacific. Click here to read the full review of the Amex KrisFlyer Ascend Card. Sign up if: You don’t mind paying the annual fee for the perks, and you plan to spend $12,000 in the coming months. The Ascend’s baby sister, the Amex KrisFlyer Credit Card, is great for fresh grads and entry-level miles chasers because of its low salary requirement ($30,000 p.a. ), first year annual fee waiver and ease of use. The trade-off is that its earn rates are really quite poor compared to the others, so you really have to max out on bonuses to earn miles efficiently with this card. Click here to read the full review of the Amex KrisFlyer Card. Sign up if: You’re too lazy to deal with conversions, and intend to spend $3,000 or $6,000 in the next 6 months. 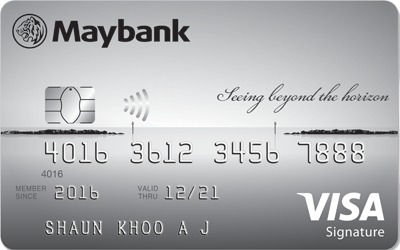 Maybank’s air miles card is quite different from the other cards on this list, especially because it has rather low base earn rates. But I just had to include it for the fantastic bonus miles centred around local spending. How much? We’re talking about $1 = 3.2 miles on local dining, petrol, taxis and Agoda hotel bookings. If local spending on these categories form the bulk of your expenses, then it’s a no-brainer to sign up for this card. There’s a minimum spend requirement of $300, which is low, but it also means you need to remember to use this card quite consistently. Which shouldn’t be a problem, given its rewards categories. Sign up if: You don’t travel much and want to earn miles with your local spending. Just for fun (and for the sake of completeness), I’m going to touch on the premium air miles credit cards for rich people, i.e. those who’re earning $120,000 p.a. and up. These cards usually require you to pay an annual fee – no waivers! – but they will give you bonus miles. Some miles chasers actually do think it’s a good deal though. 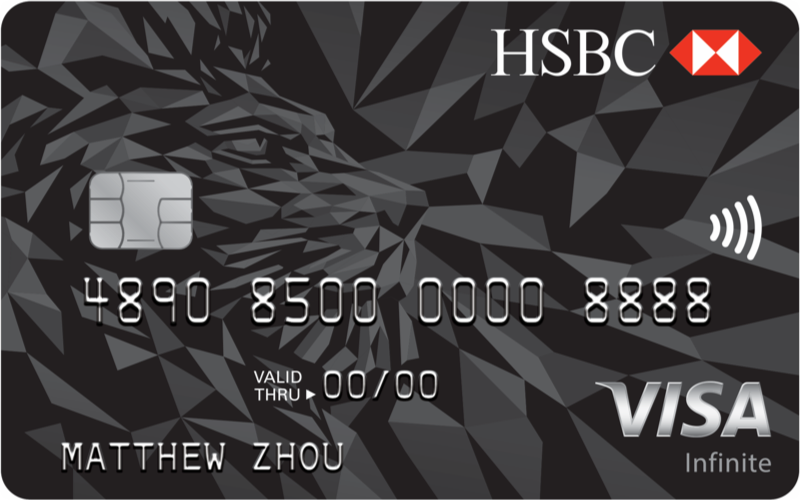 For example, if you’re an HSBC Premier customer and you pay your annual fee for the HSBC VI, your 35,000 miles work out to less than 1.4 cents per mile. One thing you might find surprising is that the miles earn rates are, frankly, not THAT spectacular even though they’re for premium clientele. I mean, the entry-level UOB PRVI Miles card’s earn rates beat most of them. However, owning one of these credit cards goes beyond just the miles. It’s like having VIP club membership. They really open doors to perks like unlimited airport lounge access, limousine transfers, free entry to spas and golf courses, and so on. Air miles are part of frequent flyer programmes (FFP), the best-known one here being Singapore Airlines’ KrisFlyer programme. KrisFlyer miles can be used on many partner airlines, including all of Star Alliance. Technically, you can buy miles with cold hard cash. That’s what some people do – buy KrisFlyer miles because they have nothing better to spend their money on. But why do that when a credit card will help you earn them for free, right? When you spend on an air miles credit card, you can accumulate frequent flyer miles either directly or by earning points (which you then convert to miles). Once you’ve got your miles, you can put them towards your next holiday’s airfare. Woohoo! 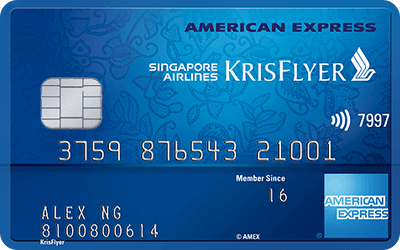 KrisFlyer miles: You can earn KrisFlyer miles with any air miles credit card in Singapore, but you’ll usually have to pay a conversion fee (typically $25) each time you change your points to miles. There are also 3 KrisFlyer co-branded cards which let you credit earned miles directly to your account without conversion. Asia Miles: Almost all air miles credit cards in Singapore will let you change your points to Asia Miles too. The same conversion fee of $25 usually applies. Apart from its parent airline Cathay Pacific, there are many other Asian and European airlines you can use Asia Miles on. Miles & More: The largest and best-known FFP in Europe, but not available through miles cards in Singapore currently. However, the bulk of Miles & More’s network are Star Alliance airlines, so you can try earning KrisFlyer miles instead. In addition to these big FFPs which have a lot of airline partners, some banks also allow you to redeem miles with specific airlines’ loyalty programmes, e.g. Emirates Skywards or Thai Airways Royal Orchid Plus. Knowing about FFPs and how they work is only half the equation. You also need to know how to choose the right air miles card so you can earn frequent flyer miles FAST. At the heart of it, getting a good dollar-to-mile earn rate is the key to quickly accruing miles. You’ll usually get a lower earn rate on local spend (your day-to-day spending) and a higher one on foreign currency expenditure (what you spend when you’re travelling overseas or shopping online). But the reality is not that simple. While a few cards do credit your miles directly into an established FFP, most award points in other types of “currency” such as DBS points or Citi Miles. Be prepared to go through some hassle in order to turn those points into an actual air ticket. There’s usually a minimum amount of points you need to accrue first, then there’s a conversion fee, and a lead time of a week or so before you’ll see miles in your FFP account. Wonder which is the best air miles credit card to get? Compare and apply on MoneySmart and you may be able get vouchers for certain cards! Before you rush to sign up for an air miles card, you should also know that rewards credit cards are a viable alternative to air miles cards. So what’s the secret? I’ve talked about how you actually earn rewards points (rather than miles) with many air miles cards. You can earn those same points with a rewards card as well, and later convert them to miles. In fact, you can think of air miles cards as simply a subset of rewards cards as the points-collecting mechanism is usually the same. Broadly speaking, air miles cards reward travel-related spending, while rewards cards reward general local spending e.g. shopping and dining. Good rewards credit cards offer REALLY high bonus points for the latter, making it possible to earn air miles more quickly – for example, $1 = 4 miles on your online shopping spending. However there are usually caps on these. The best card (or combo of cards) really depends on your actual spending habits. So if you want to be REALLY thorough, check out some of the best rewards credit cards in Singapore as well. Apply for the best air miles credit cards in Singapore and get attractive vouchers for certain cards!